Fifteen of us met up on Sunday June 19 for the third get-together of the Spring semester. Taking part were Andy Barfield, Blair Barr, Caroline Ross, Debjani Ray, Fumiko Kurosawa, Hiromi Tsuda, Jenny Morgan, Ken Ikeda, Lee Arnold, Martin Cater, Masuko Miyahara, Mayumi Abe, Natacha Piederriere, Sami Yoshimuta, and Stephanie Corwin (with regrets from Alison Stewart). We were delighted to welcome back Natacha, Sami, and Stephanie after a long interlude. We started off by talking in small groups and pairs about our current work and learner development interests for about 45 minutes. The get-together then continued with Masuko leading a 2-hour workshop workshop on narrative-based research. Masuko began by asking us to discuss what narrative research meant to us and sharing our experiences of doing any such research. Masuko continued by taking us through a stimulating theoretical overview, before we worked in pairs and small groups on interviewing each other, transcribing, and analysing parts of the mini-interviews that we had conducted with each other. The combination of sharing learner development interests, a theory-based overview based on Masuko’s doctoral research, and then going into hands-on experiential learning tasks worked really well, leading to many engaging discussions (see the reflections further below for more details). A very warm thank you to Masuko for leading such a thought-provoking and interesting session, and to everybody taking part for all their contributions. The next get-together is taking place on Sunday July 24 14.00-17.00 and will focus on participants’ learner development interests, questions, and puzzles, based on their experiences, teaching, and/or research this semester. We also plan to share ideas for Creating Community: Learning Together 3 in December, as well as talk about the continuation of the get-togethers in 2017. As Ken will be away on sabbatical from next April, we are looking for a new venue downtown in central Tokyo for that period. We would really appreciate any suggestions that you have. Many thanks! Martin: After arriving a little late, I joined Masuko and Andy for discussion. Masuko told us that as her university operates a trimester rather than a semester system, she was already looking forward to a break! I wasn’t aware that some institutions did this. I also asked Andy to tell us more about the study-abroad trips that he does with students to south-east Asia. He explained that some of his students visit different civil society organisations to learn about issues of development and share their research with students there. Knowing very little about this area, I was quite surprised that this is possible. Masuko also shared some information on the study abroad programs she is involved in. Finally, I whinged a little about the poor quality of debate in the UK’s EU referendum, particularly the weakness of the ‘remain’ camp, who were, in my view, poor. A price will now be paid for their collective ineptitude. Ken: I had the chance to meet with Sami for the first time in several years. She talked about how cooperative learning became the operating norm at a ‘low level’ school 9 years ago, how it changed the school atmosphere. In its initial stages such cooperative interaction must have appeared to be mere chatting, yet as time went on teachers grasped its merits. We broached the idea of how cooperative learning might serve students with special needs. At this time Fumiko joined us and brought up the despair of her students as being more like work-oriented animals (learn English for the sole purpose of improving their status at work). Jenny: In Round 1, I caught up with Caroline and she updated me on her progress for her Masters thesis. I was reminded of the long and winding road that narrowing down one’s research focus can take you on. She also talked of a festival in Guam she recently attended where she was able to catch up with people she had met in Yap earlier this year. It made me think of how important it is to build connections over time with the participants of any research- be it our students, other teacher-trainers we’re working with- to find out as much as we can about their authentic lived experiences which will give clearer context to any data we as outsiders collect, and also to ensure the participants’ voices be central. Then, Natacha joined us and it was great to catch up about her teaching and family life, and Masters’ study which seemed to tie in with the planned workshop. Mayumi: In the first round, I was in a group with Blair and Lee. We mainly discussed how to organize LD forums and conferences. 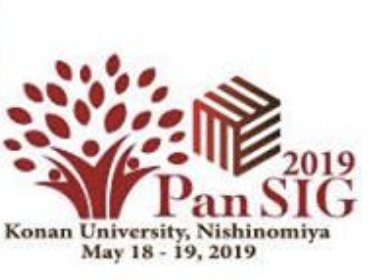 As Blair and Lee led the LD forums at PanSIG in May and JALT CALL in June as our program officers, they shared their experiences, some of which seemed to have been a little challenging. 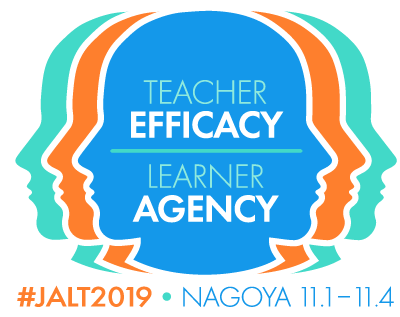 Our next forum will be at JALT International in November and I hope our SIG can make it interesting and inspiring to many participants as we have done in the previous ones. One more topic we discussed was about the idea of a joint event among Nagoya Chapter, FLP SIG and LD SIG. Hearing Blair and Lee’s opinions, I felt that schedule and theme would be the hardest parts to decide. At the EBM one week after the get-together, Nagoya, FLP, Mathew and I discussed the plan again. We are thinking March would be our best choice and “goal-setting and reflection” might be a theme that could be shared by many people in both SIGs. We’re still under discussion and any ideas and opinions are welcome. Martin: The theme of the workshop dovetailed nicely with our May session, allowing sig members to extend on some of the ideas we had previously discussed on qualitative research. This time, I had the opportunity to work with Ken; and we also benefitted from Masuko’s input. Although I hadn’t done any research into this area myself, I was somewhat aware of it as I have attended several presentations centred on such research. The negative experience Ken spoke of in the previous workshop was also connected with narrative studies, so there was a strong sense of continuity in the discussion. Although time was relatively short, I appreciated the opportunity to do some recorded interviews, getting a taste of some of the challenges experienced by qualitative researchers. In our session, I was taken by surprise at how personal Ken’s narrative was as he shared it with me, and felt out of my comfort zone as multiple roles of researcher, friend, and human being seemed to pull me in different directions. The net result of this was a kind of stasis where I asked little and thus did not provide much direction, allowing Ken to speak freely. Stephanie was perhaps closest to the mark in feedback when she observed that it is natural for listeners to want to show empathy and share their own feelings narratives in such situations; feeling unable to do this because of my perceptions of the limits of the researcher role created the conflict. In her closing remarks, I was particularly interested in Masuko problematising the whole area, suggesting that there is perhaps a certain reluctance in the academic community towards accepting any research that is not artificially ‘clean’. It seems to me that it is up to recognised experts in the field to both publish research supporting the idea of alternative approaches and also encourage and accept such submissions in respected academic journals. Ken: I appreciated the opportunity to work with Martin, as he wrote, this was a continuation of our previous discussion about anonymity in interviews. As for the transcription task, I shared with Martin an episode about myself, which for me was not so much shocking as what I have come to peace within me. I am sorry if this caused him to stumble in the role of interviewer-researcher, but perhaps I am more at peace with regarding interview and narrative research as Masuko told us about its untidiness (‘inelegance’ (from a reading by Constant Leung) was what I think I told Andy in the previous get-together) despite however it may look cleanly presented in published research. Natacha: I arrived at the get-together a little late but just on time for the start of Masuko’s presentation. I was very much interested in this presentation as I am currently doing a Masters course in Critical Theory in Education and I have been required to carry out a narrative interview for my research project. I have never done any narrative interview so I found the presentation and activities to be particularly relevant to me and my research. I found it very interesting that Masuko mentioned that this kind of interview technique is no readily accepted by the academic community, especially in Japan. Yet, The Open University in the UK is asking me to use it as a method. It’s probably has to do with the stance I am asked to take within a critical theory paradigm. Jenny: Thank you very much to Masuko for a very stimulating workshop and activities. I have been thinking of narrative research (NR) and narrative inquiry since JALT last year and Alice Chik’s workshop. Still have a lot more reading and understanding to do. In Round 2, I discussed NR experiences and puzzles with Caroline, Natacha and Debjani. We wondered what makes data ‘narrative’ data- is it stories involving chronology? Is it collecting case studies? Is it ‘stories of identity issues’? I wondered if narrative research is always recording oral interviews then transcribing them, writing up data into a text product for analysis. Can narrative data be visual, multi-modal? (Chik’s book below outlines all these possibilities). We discussed how we should be aware of the power of the researcher. How much do we influence/guide/ colour the participant’s output or narrative? How can we power-share and create a very participant-centred context for interviews, etc.? We also wondered how we should analyse the stories as data- Caroline mentioned ‘coding’. I found Masuko’s framing the interview data as ‘documentary data’ very useful as it gives a more humanistic feel to the data. I think for me as a qualitative researcher, the NR approach feels more natural as it offers opportunities to share the power for co-creating the data with the participant. It’s their story, their lived experiences that are central and key for unravelling the research question(s). It was very useful having a go at interviewing and questioning Debjani, then trying the transcribing and coding. We only attempted to transcribe and discuss 5 minutes of data so we could imagine how challenging the task must be for a researcher with some hours of interviews to deal with. Then, I guess the fun part would be finding the coding, finding common themes, which I suppose we’d have some idea of what we were looking for when we framed the initial questions/prompts, but then on listening to the data, so many other themes could come to light from the interviewees’ responses. This could I guess change the direction of one’s research. Andy mentioned (I think) his one-to-one consultations with his research students, during class time, while the others did reflection writing. While the student talks, he takes notes and prompts, and together they reflect about the student’s research process/progress/ goals for that week. The learner and teacher here have opportunities to co-construct upcoming research-learning goals. And over time, the teacher would have gathered a lot of documentary data to analyse and make changes, improvements to course materials and planning. Are these micro and macro views and uses of this kind of narrative research, Andy? Andy: I mentioned those in the May get-together, Jenny – thank you for remembering that -:) and I think I told a ‘small story’ of myself trying to talk with students narratively about the development of their research interests, within a class, as you mention, and trying to keep notes or quickly write down verbatim what different students were telling me about how they were developing their research. These small exchanges had something of a broken narrative quality – along the lines of “I was thinking this last week, and now I am trying to do this, but I am not sure about this and/or this is how I see what I am doing now” – but I am not sure that I would characterize that classroom exploration as ’small-story’ research. When I mentioned this at the May get-together, I wasn’t sure if this qualified as ‘practitioner interview research’ or not, as I was wondering what conditions need to be met for practitioner research/explorations to acquire that kind of status. Thinking about this now, though, makes me want to look into “small story” and “big story” research (see the references further below for some possible links to check), something Alex mentioned towards the end of the workshop in May, and which came up again in June when we were talking about how to analyse a transcript in doing narrative research – so it’s very helpful to make these connections across the different workshops at the get-togethers and to raise the key question of what different meanings ‘narrative’ might have in the practice/praxis of doing ‘narrative research’. At the June get-together Hiromi, Stephanie and I interviewed Mayumi about her experiences of language learning. We wanted to find out about challenges and frustrations she had experienced in learning and using English. One of the interesting points in the interview was Mayumi’s use of metaphor of a ‘long step’ that she had found herself on for a certain period. We tried to explore the image of the metaphor with Mayumi by asking her to describe how the step had been and what she had done at that stage. It seemed that moments of metaphor might lead into critically reflexive reinterpretations of particular episodes within a larger narrative. Masuko: Thank you, Andy, Ken, and Blair, for inviting me to hold a talk and workshop on narrative studies. And, also, thank you very much for all those who kindly joined me during one of your busiest weekends of the term. It has been quite a while since I was able to take part in the LD SIG Tokyo gatherings, and was delighted to meet some new faces. Needless to say, I enjoyed leading the hands-on session very much. But most of all, judging from the comments here on the blog, was relieved to know that people got something out of it. For me, this was just the tip of an iceberg; there is so much to be said about narrative interviews or narrative research in general. If you felt that you had a lot of questions about narratives, then, that means you have, in a sense, ‘understood’ narrative research. Because of time constraints, we weren’t able to talk about ‘reflexivity’, but in fact, this is , as far as I am concerned, the most important aspect involved in narrative research or qualitative research in general. Hope that we will have an opportunity to explore this area in the near future. Again, thank you all for your participation !! If you should have any further comments or questions, please feel free to contact me at miyaharam@icu.ac.jp. Mayumi: First of all, I’d like to say many thanks to Masuko. It was a very interesting and fun workshop for me. I was an interviewee interviewed by Andy, Stephanie and Hiromi. After I told my story, they explained to me that what they wanted to know was frustration I have when I learn and use English. I noticed that I didn’t give straightforward answers to their questions even when I was asked about it directly and wondered why I didn’t (or couldn’t). I’m not sure even now, but I felt that it might sometimes be very difficult to elicit information we aim at. Barkhuizen, G., Benson, P., & Chik, A. (2015). Narrative inquiry in language teaching and learning research. New York: Routledge.